How to get to Montpellier ? The Montpellier Mediterranean International Airport is located 10 km from downtown. 57 international destinations, served by 11 traditional and low-cost airlines (AirArabia, AirFrance, AirMéditerranée, EasyJet, Fram, Iberia, RyanAir...). There is an airport shuttle with convenient departures (see details here). It takes 15-20 minutes to get to the downtown. The SNCF train station is located in the town center, with several high speed trains (TGV) to and from Paris every day. The trip to Paris takes around 3h30. 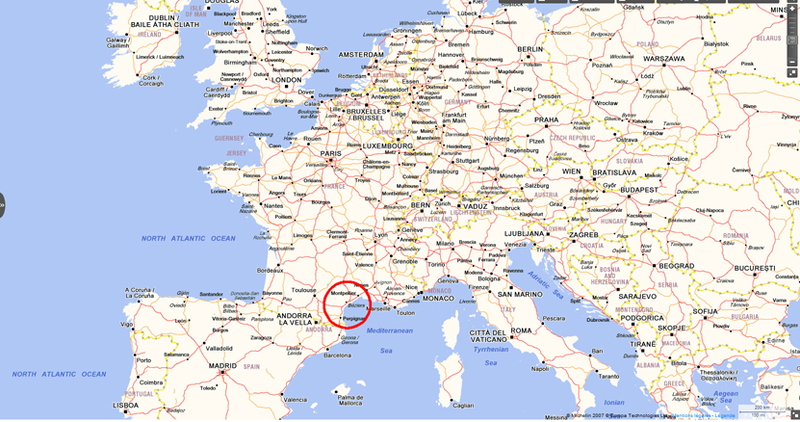 The two major cities, Lyon and Marseille (which both have an international airport), are both within 2h by train, and Barcelona (Spain) at about 4h30. Montpellier is around 700 kilometers from Paris. Take the A9 and get out at exit 29 (Montpellier-Centre / Montpellier-Est).